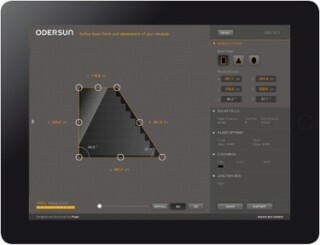 The new Solar Module Designer for the German solar module manufacturer Odersun just went live. 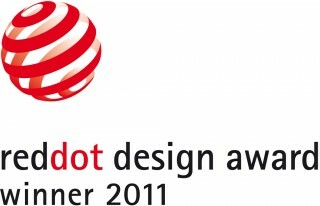 It was developed by Markus Lerner in collaboration with Plural Kilian Krug (Concept/Design). It allows you to create customized modules for building facades by interactively changing the shape via drag & drop. The solar cells are dynamically fitted in order to achieve the best enery output. The layout of the cells can also be adjusted in order to create a unique look. Front- and backside colour printing can be applied as well as various types of glazing. 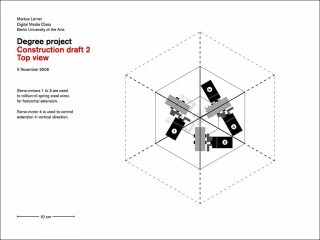 The results can be saved in the online gallery or exported as pdf or dxf files. 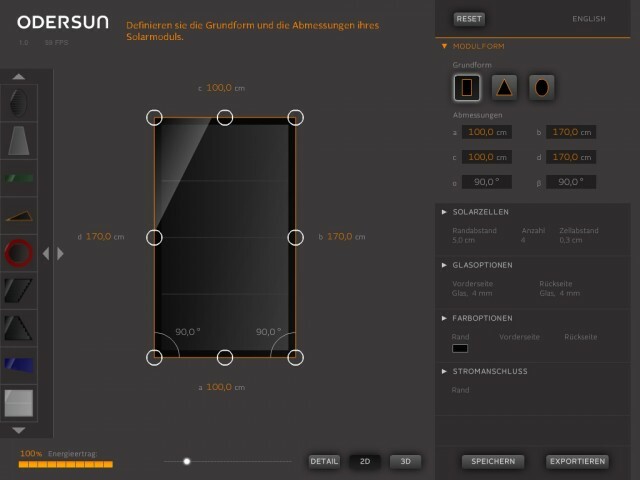 A large touch screen version of the Solar Module Designer is currently on display at the Intersolar Europe in Munich. 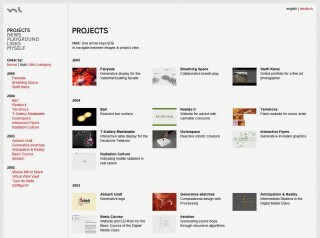 An iPad version of the designer will be available at the App Store soon. In recognition of Erik Spiekermann being awarded the German Design Award for his outstanding contribution to Design in Germany, the Bauhaus Archive in Berlin will be exhibiting an extensive body of his work. We are pleased to display our interactive research table at the show. 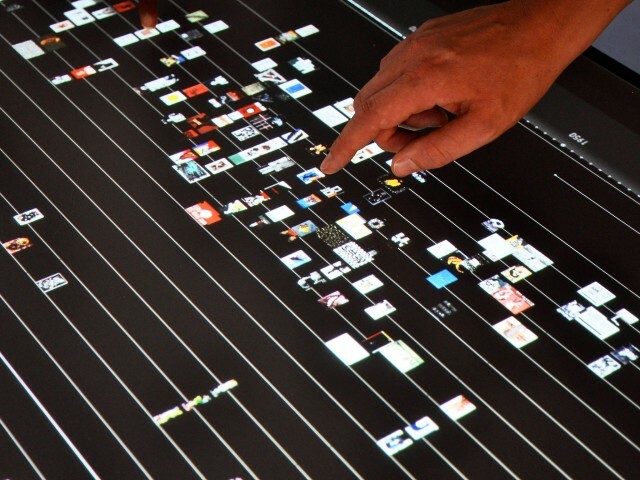 The multi-touch interface offers an insight into Erik Spiekermann‘s network of partners – visualizing relations between them and a multitude of works. The table was developed by the designers network Plural (Kilian Krug und Severin Wucher in cooperation with Markus Lerner). After thinking about the first draft a bit longer, I realized that it needs another ring in order to create a nice threedimensional shape. So the top view is based on a hexagon now. 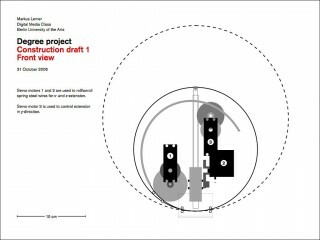 In this draft, the steel wires are unrolled to both sides. This should work better for the symmetric change. After I stopped researching for small helicopters, I went back to my first idea of shapeshifting. Ball-like-shaped objects are supposed to be able to change their size in all three dimensions. I want to avoid the use of pneumatics, so i’m going about a mechanical construction. The construction is a simple wireframe model of a ball, to be covered with a soft extensible cloth. This is the first attempt for the underlying mechanics. 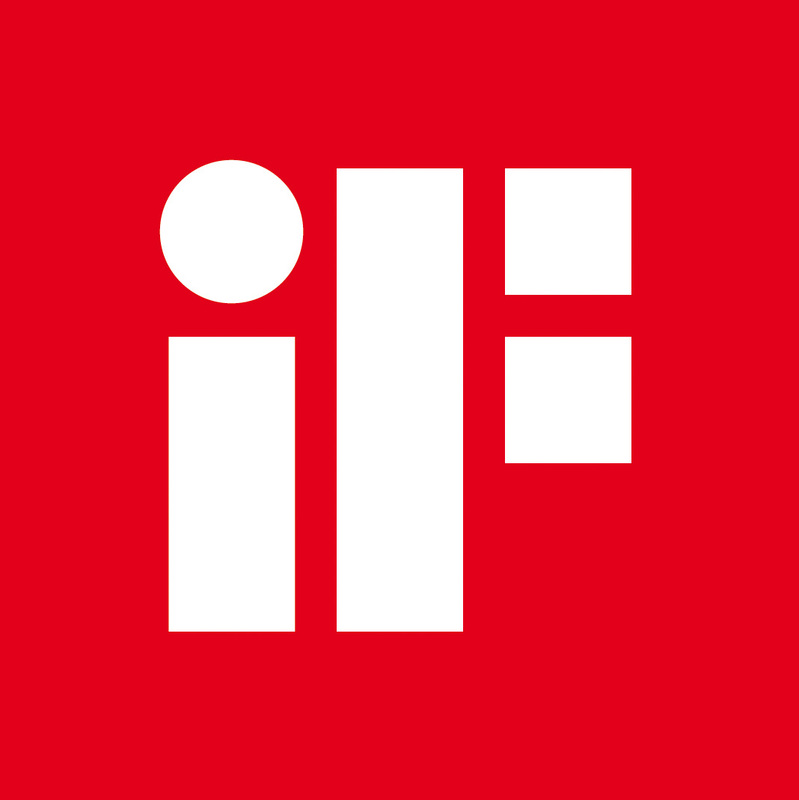 If you were ever wondering, what I was doing during the last weeks and months, here’s the result: my new portfolio website is finally online. Panta rei (everythings flows), like the Greek say. So the news are now going to be available at www.markuslerner.com/news. Blog actually sounded like somebody choked on some bad stuff, so the new stuff will be continued from here: NEWS. Nothing more and nothing less. No homage to another hype. Something most people will understand. And even if they won’t understand the content, they at least get the picture.